We were playing with Windows Server 2019 (Tech Preview) in the lab, as well as with Project Honolulu. 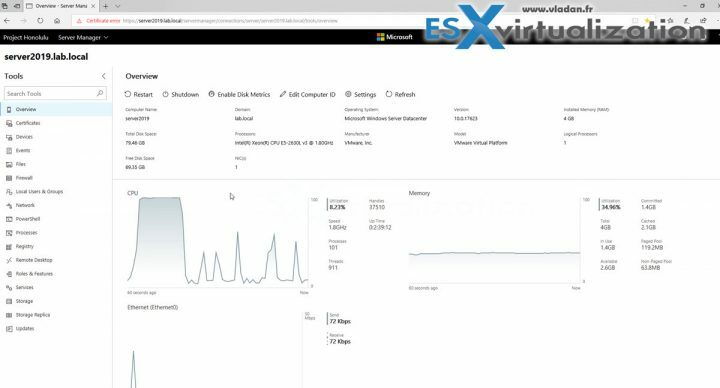 The Windows Server 2019 was installed on vSphere 6.5 in the lab, as a new VM with default settings of Windows Server 2016. As you can imagine, everything worked as it should. After installing VMware tools, I decided to install a Project Honolulu tech preview as well. You’ll see that we had a surprise as the Internet Explorer browser present (still) in the tech preview of Windows Server 2019 isn’t working with Project Honolulu. Anyway, we can see where Microsoft is heading. Project Honolulu is a lightweight browser-based management where Microsoft will try to integrate as many features as possible which will allow using Azure services such as Azure Backup, Azure file sync, disaster recovery and more. So of course, those services are paid services. We know that Microsoft is a commercial company which is in this business for profit, not for loss. So it’s quite logical they want us to use Azure as much as possible. 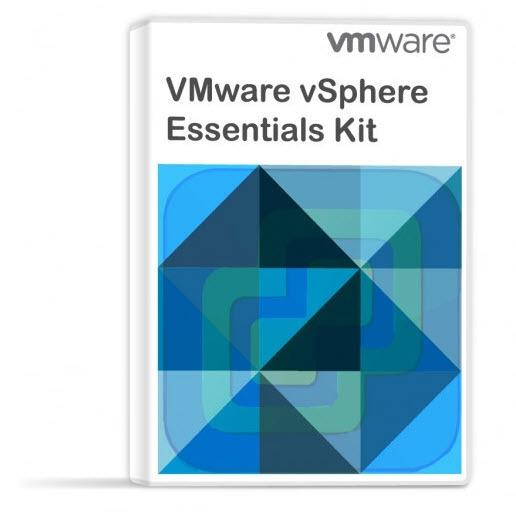 It is a way too early to talk about vSphere support for Windows Server 2016. We suppose that this will become actual when both Windows Server 2019 and next version of vSphere will become available, later this year. Publishing the web server to DNS and setting up the corporate firewall can allow you to access Honolulu from the public internet, enabling you to connect to, and manage, your servers from anywhere with Microsoft Edge or Google Chrome. Yes, a small freebie from Microsoft. You can download the Honolulu poster from Microsoft Githup page. The Honolulu MSI can be also installed elsewhere than directly on the Windows Server 2019, like we did for our lab test. When you install Honolulu on Windows 10, you’ll be able to open the app from the Start Menu or the System Tray. The user interface will open in a browser and you’ll be authenticated with your logged-in user account, and those credentials will pass through to connect to managed Windows Server nodes. On Windows Server, Honolulu starts a network service that listens on the port you specify during installation. Any user who has access to the port with a web browser, and rights to log on to the gateway machine, can open the app. But since the app is running with the permissions of a network service, you will need to configure some form of Kerberos delegation on the server to get a single sign-on experience. The Honolulu Gateway machine will need to be trusted to delegate to the target node. A: Windows Server 2019 will be generally available in the second half of the calendar year 2018. 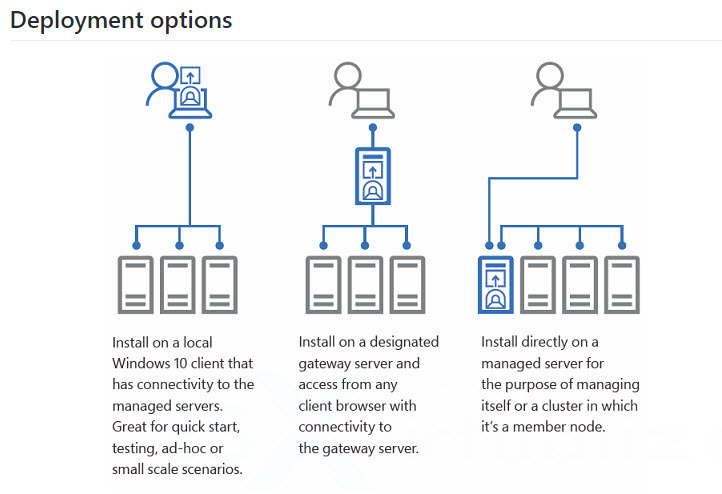 Project Honolulu together with Windows Server 2019 looks pretty cool. Microsoft’s targets are clear: Azure, HCI, Hyper-V, security and more. Hopefully when we get closer to the release date, later this year, we’ll have further detail about both products and their integrations. Having a single tool to manage your servers whether they’re on-prem or in Azure seems appealing. Admins which are not using Azure services can still use it for all on-prem managements of existing server infrastructure starting Windows Server 2012/2012 R2, Hyper-V Server 2016 and 2012 R2/2012.